Hello Dan, other Dan who loves Hamilton's here. I just purchased a boatswain and am interested in tracking down a NOS crystal. Any advice? 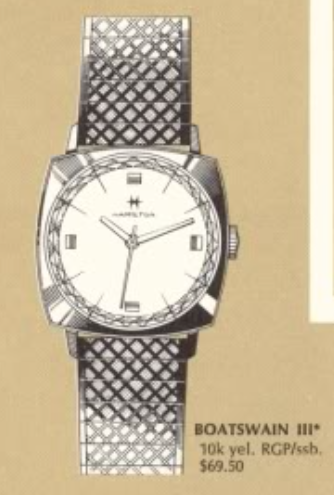 I have a similar watch, but it has a date complication and is an automatic. Is there such a model? I have been searching everywhere. Could be an A-658. That's an automatic in a cushion-shaped case with numerals at 12, 6 and 9 and markers at the other hour positions and a date at 3. The crystal isn't faceted though. So it's similar to the Boatswain III but different as well.